Moin-Moin Babble | Thoughts of a Calabarboy. 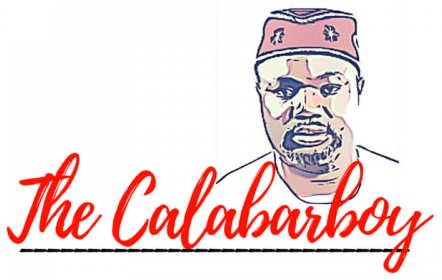 Moin-Moin Babble – Thoughts of a Calabarboy. But this points me back to some thoughts of what made eating moin-moin exciting for me. As a child, my mum’s creation wrapped in nkong (what Efiks call the leaf used in wrapping the bean paste) was deservedly top-class. From the way she creatively separated the skin from the bean seeds using a mortar and pestle (although I soon became the point man for that part of the labour), to the blending with pepper and ground dried crayfish plus other ingredients to match, to the skilful apportioning of the paste into the leaves and finally to neatly wrapping the leaves, without a single drop of the paste leaking out, before placing into the pot. There was something near divine about the whole process and I usually observed it with strict attention. But I hereby confess that the real reason I watched the moin-moin making process was to note what exciting things were buried in each wrap. Admittedly, I cannot stand any wrap of moin-moin that doesn’t contain some form of flesh; whether it flies, crawls, swims, or walks. Once the meal touches my plate the first thing I do is to divide it asunder with my fork. With the keen senses of an explorer, I investigate what riches lay beyond the smooth skin of the finished product. If the content thereof is null, I immediately lose my appetite no matter the depth of the hunger or the intensity of the expectation. Eating moin-moin for me was beyond satisfying my belly, it was also about fulfilled expectations. Frankly, to me, the quality of moin-moin lies beyond its taste. I grade my moin-moin by what it has in it. Now I wholly blame my mother for this! When I cut through with my fork, the first requirement is that I must encounter a slice of boiled egg. Only then will my tongue become watery, indicating that the necessary fluids for digestion have been duly secreted. Then the next encounter should reveal some shredded fish or shredded beef. Now my tummy will start churning and hoping for a feel of the meal. Finally there must be found the presence of shrimps within the congealed substance for me to slam it a five-star rating. Any moin-moin without these listed treasures is nothing short of gastronomic murder. How can it by any means satisfy? Great article Reggie. It seems moi-moi, the eating, making and all other aspects of it is something of an emotional topic for you 🙂 Funny enough, i couldnt be more different from you when it comes to moi-moi. Whereas you appear to favor the “elemi-meje” or “seven-spirits” class of the dish, I’m a complete purist in that respect. My motto with moi-moi is “less is more” and nothing other than a sprinkling of salt and smoked shrimp, onions, bell peppers (for color) and hot red peppers make it into the bean batter. On occassion, I add some shitake mushrooms not just because they give an intense, woody flavor which I like but also for the health benefits. I can already hear you saying “yuk” as I type this, LOL. I read your article but found no recepi on the moin moin may i have the ingredients and recipi as follows. I would love to master the high rating of this your dish. Joyce from the Rio Grande Valley Mcallen Texas. lol… Good to know that the love for moi -moi still exists.. I actually binged on it that night and by the next day, the 8 cups I made had gone through my intestines.. but really ebele.. what you just proposed looks appetising and worth experimenting and since i have all the ingredients and specimen in my fridge.. i’ll let you know by this weekend how it went down. 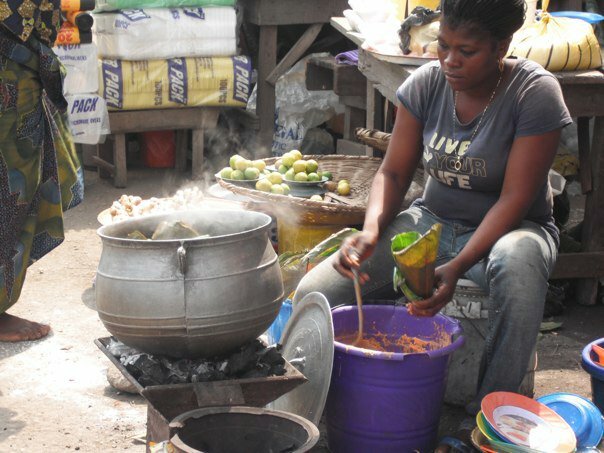 The next food on my list is akara and agidi(eko in yoruba).. stay tuned.. When I got back to Australia after some time in Cross River, this is the food I missed most. I tried a few times to make it at home but was never able to master it and achieve that silky texture. Needless to say, I have not been holding back on the moi moi this time around. And a Nigeria friend is giving me moi moi making lessons this weekend. Cant wait. pls teach me how to cook a tasty moi-moi,even to the extent that someone who claims not to like eating moi-moi will looooovve it. hundreds of plants but, as we’ve already discussed, we now know that smoke contains copious carcinogens and noxious substances. If any liquid pools at the top just dab it off with a tissue, and replace the silicone cap. Is there anybody else having identical RSS issues? Anybody who knows the answer will you kindly respond? could damage yyour high-quality scoree if advertising and marketing with Adwords.